Whether it be journaling or note taking, we all need a good notebook at some point in our lives. These beautiful hardbound journals are the perfect way to write down your thoughts or your lists. 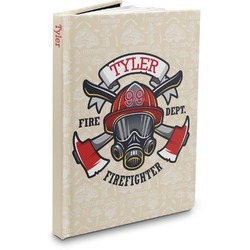 These beautiful journals are hardcover with a smooth matte laminate coating. This coating gives the journals a particularly smooth feeling for all those who enjoy the beauty of textures. Built with 75 sheets of lined and ruled paper, you will have plenty of room for all of your reminders or thoughts. The paper's edges are perforated for easy tearing when you need to take a note out of your book. They come in two sizes of approximately 5.75" x 8" and 7" x 10". The smaller one fits perfectly into a bag or purse, while the larger one is great for your brief case or backpack. They make great gifts for loved ones or for yourself. Now the fun begins. You get to design every bit of your new journal! Go into our design center and look through our thousands of graphics and backgrounds. Choose every detail of your design from ribbons, to fonts, to colors! 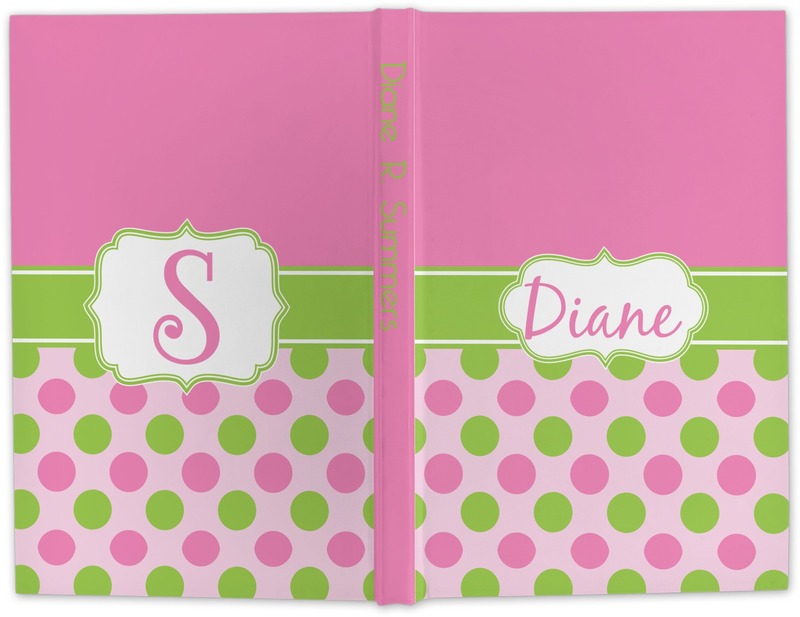 You will be able to create a design for the front and back cover, as well as the spine of your journal. Go crazy with your customizing to make it fit your personality. If you ever need help using our design center just give us a call. We are always happy to help. If you loved these journals, check out the rest of our office supplies section to view our spiral and softbound notebooks. The journal was perfect! The final product was exactly what I designed. Shipping was fast. The price was reasonable. I will certainly use You Customize It, again. I created this journal for my brother-in-law who has MS. His fave NFL team is the GB PACKERS! The finished product came out better than I ever hoped for! I love YouCustomizeIt and have used them in the past and will continue to do so in the future!